I can’t defend Samantha Bee because the harsh, offensive language she used this week was wrong. I have been a fan of her show since it launched, but I actually think it has gotten progressively worse as she has allowed her indignation to overcome her humor. My sense for some time is that she is not currently at her best. Indignation is the call to fight. Humor is the sword that slays dragons. A strong producer could steer her back on track. I don’t see a lot of evidence she has one, and I think her talent is taking a hit as a result. If she looks to some of her peers and mentors, she’ll see where she may be losing ground on that illusive concept of “crossing the line.” I’d like to see her rebound because she does have a unique, important voice in our nation’s dialogue. When Roseanne Barr launched her latest damning tweet, I believe she was in an entirely different universe of free expression. 1) There is no equivalency between a random racist tweet and a few unnecessary hateful words deployed in the context of making a point about the morality of separating parents from children. Lenny Bruce pretty much died for this point. Context is inseparable from language. 2) Complain all you want about who should get fired or cancelled, but the two performers have different employers. It’s the employer’s decision to exercise a response to the free speech exercise of an employee or contractor. Had it been the same employer, there might be an opening to hypocrisy, but even then, don’t mistake what happened. These were considered business decisions. 3) If you want to know the true horror of our nation, do a few internet searches and see what some of Roseanne’s supporters are saying about the underlying truth in her remarks. The defensive outcry over an alleged double-standard does little more than fuel the fire of racism as some kind of macabre social norm too many people can easily dismiss as overblown. Racism is institutionalized hatred bolstered on ignorance. Celebrities choosing to fan that flame know what they are doing. To the contrary, you might find a few people defending Samantha’s rotten choice of words, but for reasons of emphasis, not denigration of gender. Again, context matters, particularly as a rallying cry. There are degrees of invective. The hierarchy stems from purpose. Far be it from me to defend Samantha, but I believe her intention was motivated by a positive force of social criticism. She threw away that timely opportunity with a few poorly chosen words. Roseanne was just being herself, using her humor to irresponsibly reinforce a longstanding platform of inciting the biases of her base. The two incidents are not the same. Far from it. This entry was posted in Business, Entertainment, Media, Talent, Television and tagged crossing the line, false equivalency, free speech, Lenny Bruce, Roseanne Barr, Samantha Bee. Bookmark the permalink. This is true, but there is one difference. Whatever I might think of Roseanne’s tweet it was posted on a personal account on her own time, not as a representative of ABC. The network is merely her employer. The one saving grace Samantha Bee has is that her show was recorded for air, so the network screwed up as much as she did. Either way, Bee was closer to representing the TBS brand than Roseanne was. Thanks for your comment. One thing you discover when you work for a large media company in a highly visible capacity, which I have on several occasions, is that there is little distinction between your private and public life. Contracts are pretty explicit on that, particularly high-paying ones. You can be fired for almost any reason at any time that involve your exercise of free speech. You cede the right to repercussion when you take the money. You always have the right to exercise free speech, but it does not protect your job. That is a reasonably standard interpretation of the law in principle and practice, unless you can prove targeted discrimination under the law, which is enormously difficult. Likewise, as a voice on the air, you speak for yourself unless otherwise stated by company ownership. The broadcast brand generally distances itself from individual voices both for legal reasons and to protect business interests as trends come and go. CorporateIntel is a creative forum for exchange where we talk about Innovation, Learning, Life, and Career. We share insights into company success where people matter most. People, Products, Profits—in that order. Enter your email address to subscribe to this blog and receive notifications of new posts by email. Please check your spam folder for an email confirmation link if you do not receive one. Ken Goldstein has served as Chairman & CEO of SHOP.COM, Executive Vice President & Managing Director of Disney Online, and VP / Executive Publisher of Entertainment & Education for Broderbund Software. He currently advises start-ups and established companies on brands, creative talent, e-commerce, and digital media strategy. 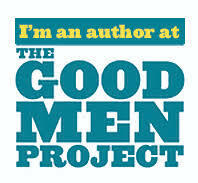 Ken is chairman of the board at ThriftBooks Global and Good Men Media. He publishes the business blog CorporateIntel.us and has written three novels all published by The Story Plant: "This Is Rage" (2013), "Endless Encores" (2015), and "From Nothing" (2018).